Homewood police are mourning the loss of a veteran officer killed this morning in a traffic accident in Bessemer. Retired Officer Orlandera Johnson, 64, was traveling southbound on Interstate 20/59 just before 8 a.m. when a car crossed the median and struck him, according to the Jefferson County Coroner's Office. Johnson was pronounced dead on the scene. There were three cars involved in the crash, authorities said. A woman and a child in the car that struck Johnson both were injured and taken to area hospitals. The motorist in a third vehicle wasn't injured. 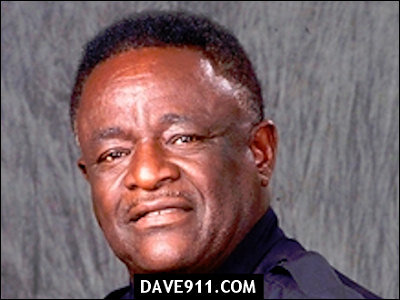 Johnson worked for the Homewood Police Department from 1979 to 2008, when he retired after 29 years of service. Before he joined the Homewood force, Johnson worked for the Roosevelt City Police Department. said Homewood police spokesman Sgt. Andrew Didcoct. "O.J., as he was know by everyone, was very popular and probably the most well-known Homewood officer," Didcoct said. "People were always asking, 'How is O.J.' or 'I have known O.J. for years, tell him I said hello.' Everyone loved O.J. and he will be missed."